You wouldn’t expect a toy spinning top to be rotating at precisely the same rate every time you glance at it, but you probably would expect a planet to. Yet observations of Venus over the years have come up with slightly different numbers when calculating the length of a Venusian day based on its rotation. 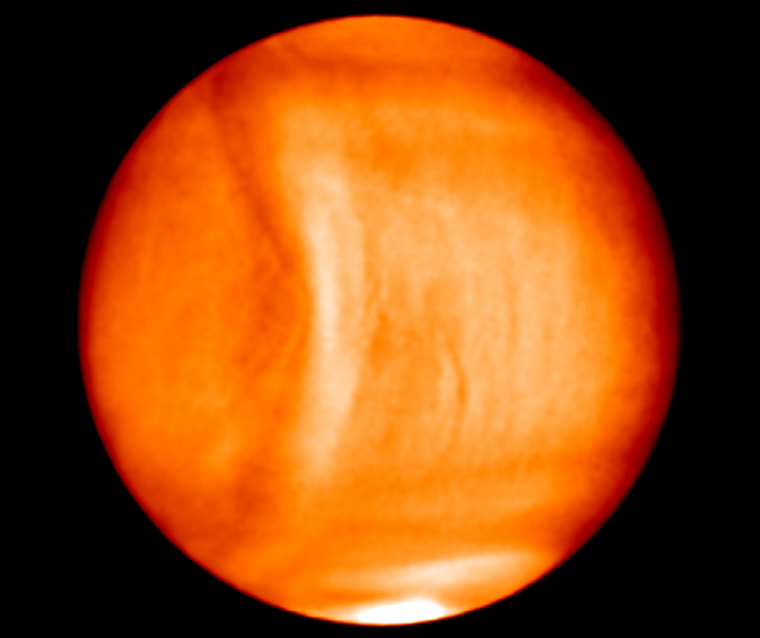 Venus is weird enough that we have to be careful to specify what we mean by “a day.” Because Venus slowly spins clockwise as it orbits clockwise around the Sun, sunlight takes a lap around the planet faster than Venus itself does a 360. Sunrise to sunrise (metaphorically speaking, given Venus’ cloud-choked atmosphere), a day there is about 117 Earth-days long. Measurements by the Magellan spacecraft in 1990 and Venus Express in 2006 differed by about 7 minutes, though. That wasn’t slop in the measurement—it was a real change. 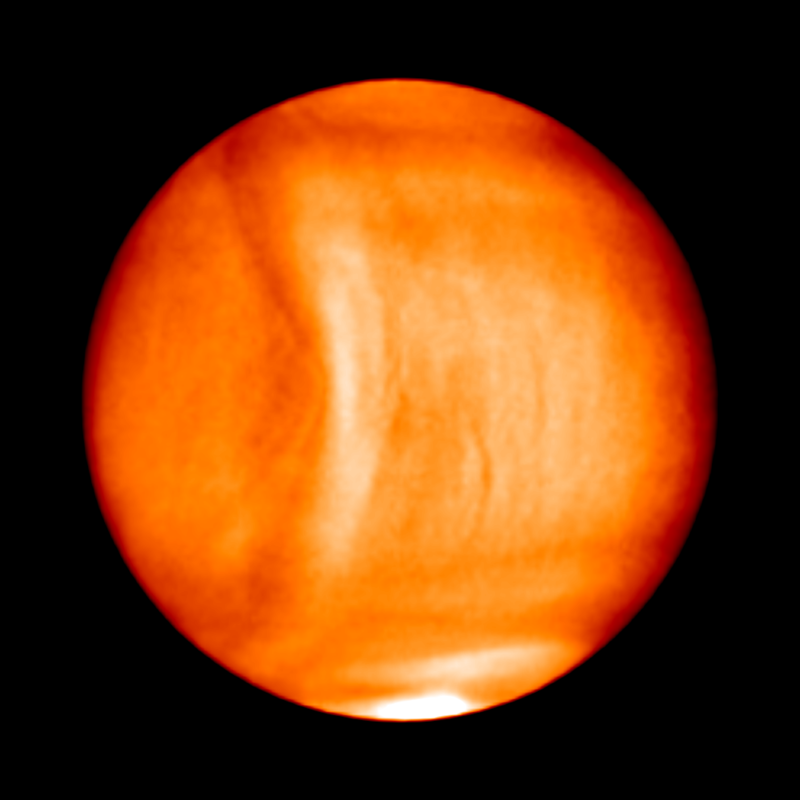 So why would Venus be slightly changing its rotation speed over time? The most obvious suggestion is that tidal forces from the Sun are somehow responsible. But the recent Japanese Akatsuki spacecraft spotted something strange in Venus’ clouds that shows its atmosphere may have more to do with it.